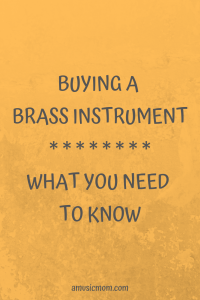 What do you know about buying a brass instrument? Do you have someone begging for a new horn for Christmas? Let me give you several things to consider before buying that brass instruments. What is a Brass Instrument? While most brass instruments are made of brass, that is not the main factor in determining a brass instrument. The primary thing that sets these instruments apart from others is the way the sound is produced. In all brass instruments the vibrating of the player’s lips produces the sound. Mouthpieces on brass instruments only amplify and focus the sound produced by those vibrations. 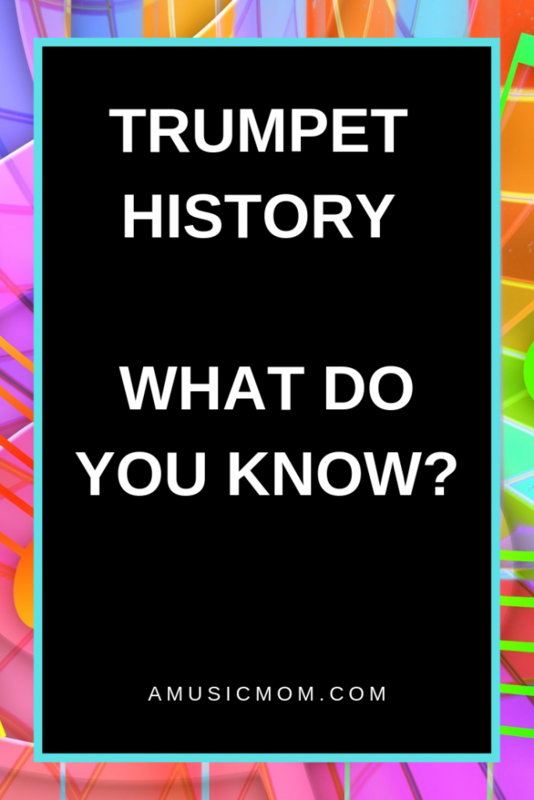 The main members of this family of instruments are the trumpet (or cornet), the French horn, the trombone, the baritone (or euphonium), and the tuba. Instruments of all kinds are expensive. Study the price range of the new instrument market for the instrument you are looking for. To a certain extent, price reflects quality. Understand why pricing varies between student, intermediate, and professional models. Check out the pricing on the used market. After you have done this, you can establish a realistic price range for the instrument you are looking to buy. The key here is a realistic price range! Don’t expect to find a fabulous instrument with all the best options for under $100. Not realistic at all! Are you looking for a trumpet, or is a cornet what you want? Euphonium or baritone? French horn or double horn? Basic trombone or F Trombone? Many options exist for each instrument category. Know what you are shopping for! Some of these instruments come in different keys. If you know exactly what you are looking for you will be less confused once you start the shopping experience. Know what kind of sound you want. Bright and clear? Mellow? The instrument and its design will affect the sound of the horn. Two of the main factors to consider here are the bore of the horn, and the size and shape of the bell. Go to a few music stores and try a variety of instruments. When you find a sound you are happy with, find out what it is that makes the horn sound the way it does. Is it the bore? Is it the shape or size of the bell? Does a particular brand of horn consistently give you the sound you want? Consult with the music teacher or band director – get their opinion on the kind of sound you should be listening for. Look at a diagram of the instrument and learn the main parts of the horn. 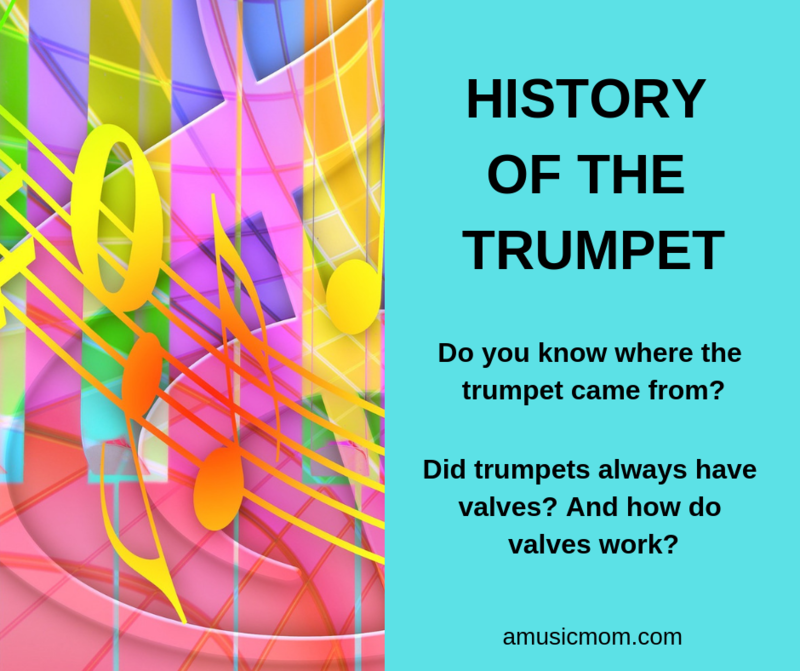 Understand what the different valves and slides do. Do you know where the water key is? Be sure you know what parts move, and what parts don’t. All this takes some research! Put in the time and effort to learn about the instrument you will be buying. You can do research online. You can also talk to teacher, band directors, other students, their parents. Don’t just follow the advice of the salesperson at the first store you visit. Be an informed consumer. When buying an instrument, be sure to look at it carefully! This is especially important if you are shopping in the used market. Look for dents and pitting. While many used brass instruments will have some dents, none of them should be large. Large dents could indicate carelessness or neglect of the instrument. Check the water key (commonly known as the spit valve). The key should line up completely with the hole and completely cover the hole. The cork should provide a good seal. All brass instruments have slides. Be sure all the slides move freely, both in and out. Check the valves – do they move freely? Take them out (one at a time!) and see if they are scratched or dented. Look at the bell of the instrument. Better horns have one-piece bells. Does the instrument look well-cared for? Ask if you can take the horn to your music teacher for an evaluation. Play (or have someone else play) the instrument. How is the sound? Is it the sound you want? Does the horn respond well? Be very diligent and careful in your evaluation. You want to get the best instrument for the budget you established. When shopping for a trumpet the first thing you must decide is whether you want a trumpet or a cornet. What’s the difference? Good question. While the two instruments play the same and use the same fingerings, there are important differences between them. Trumpets have cylindrical bores and are longer than cornets. They usually produce a brighter, more direct, and more piercing sound. Cornets are more compact than trumpets, have a conical bore, and produce a warmer, rounder, more mellow sound. Although the instruments are different sizes, the amount of tubing in each instrument is the same. The tubing is wrapped differently, making the cornet more compact in size. 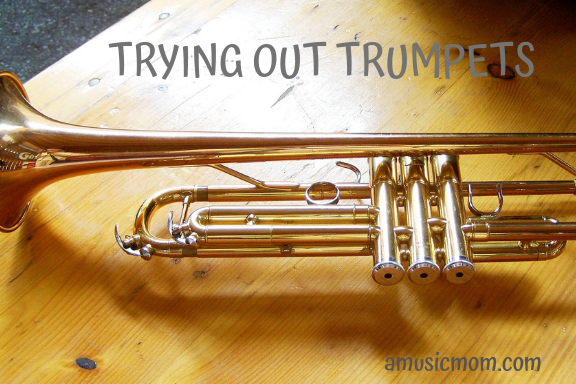 The conical bore of a cornet is also easier for a beginner to play. That is why band directors will often start all the beginners on cornets instead of trumpets. As they progress beyond their student instruments, they will need to decide whether to stay with the cornet or switch to the trumpet. Trumpets also come in different keys and sizes. There are C trumpets, piccolo trumpets, pocket trumpets, etc. The most common instrument for students is the trumpet in B Flat. Unless specified otherwise, this is the trumpet you will be shopping for. When considering a trumpet or cornet, either used or new, carefully evaluate the horn you are looking at. The valves should move quickly and smoothly. The best option is to have hand-lapped valves, meaning the final fitting of the valves are done by hand by a professional. Nickel-plated valves are often used in student instruments because they can handle infrequent cleanings and are more durable than other materials. Better quality trumpets will have valves of either Monel alloy or stainless steel. While student models of trumpets and cornets often have two-piece bells, the better option is a one-piece, hand-hammered bell. The bell can be made from different materials. You need to try the different options to see which will give you the sound you prefer. Trumpets also are available in different finishes. Many student models have lacquer finishes. They do not require as much care as other finishes. The best option seems to be the silver-plated finish. The French horn is probably the most complicated and, therefore, most expensive of the brass instruments. You need to do your research carefully, because you want to get the best horn you can for your budget. You need to learn about your options and your choices will affect the sound from your horn. Do you want a single horn or a double horn? What? 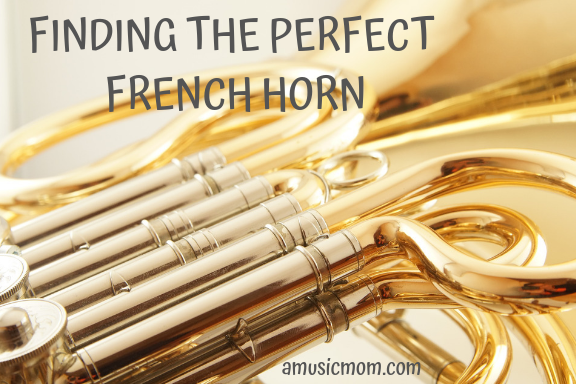 A single horn is a horn in F. These horns are what most beginners use. They are lighter and less complicated than double horns. But they have limitations. By high school, most horn players will switch to a double horn. A double horn is actually two horns fit into a single framework. It has the horn in F with and extra lever that will cut off a portion of tubing to switch to a horn in B flat. This will give the player better accuracy and make it easier to play in certain ranges. On a double horn all the tubing can be wrapped in two different ways. One of the key differences between the two is the location of the change valve. But the wrap also affects the sound of the horn. Generally, the Kruspe wrap produces a warmer and bigger sound, while the Geyer wrap gives a sound that is typically brighter or edgier. On a French horn, the keys are linked to rotors that turn to adjust the tubing for any given note. There are two ways the rotors are linked to the keys – string or mechanical. The string linkage is the most common system in the United States. It is a quiet operation, but the strings will wear out and break, and then they must be replaced. The mechanical rotor linkage is more common in Europe – and they don’t break like strings do. But the system is not as quiet, so in soft passages sometimes you can hear the metal connectors. If you take good care of the instrument you will probably be happy with the string rotor linkage. When the strings break you can take it to a repair shop, or you can learn how to replace them yourself. At a repair shop you can expect to pay about $25-$50 per rotor for restringing. The material a French horn is made of can have affect the sound of the horn. Many horns are made of yellow brass, the most common material for horns. This gives the instrument a medium dark sound. Some are made of rose brass. This is a softer material and provides a darker sound. Unfortunately, it also dents more easily. Other horns are made of Nickel Silver. The silver refers to the color of the nickel – no real silver is involved. And this is not a plating, either. It is a very hard material and gives a very bright sound. Some say that having the French horn lacquered dulls the sound. So, not all horns have the lacquered finish. Unlacquered horns require more care and maintenance. The bell of the horn is the large opening where the sound comes out. Some bells are permanently attached to the horn. Others are detached – meaning they can be screwed on and off. This allows the case to be a nice rectangular shape – easier to travel with. This is often more of a convenience factor, or a preference, but some say that the detached bell will affect the sound. It will also add to the cost of the horn. Always play the horn before you purchase it! Go to several music stores and play several horns. Keep track of what features you like, what sounds you like, which ones are most comfortable. After you find what you like, then you can look for specific horns on the used market. Take your time, do your research, shop around, and find the best horn in your price range. For more information see here and here and here. 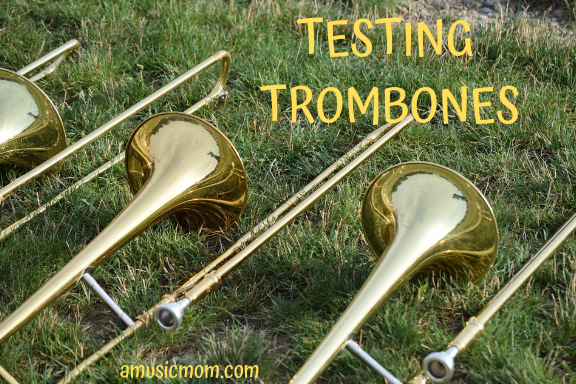 Did you know there are different kinds of trombones? Of course there are – otherwise life would be too easy. The main two you need to be concerned about are the straight tenor trombone and the trombone with the F attachment. Most beginners start with a straight trombone and move up to a horn with the F attachment about the time they get in high school. Why not sooner? Mainly, a horn with the F attachment is heavier. Also, they are generally more expensive horns that need a bit more care and maintenance than a grade school child is likely to give it. Having a trombone with an F attachment extends the playing capabilities of a trombone. It adds notes to the lower range of the horn. It also provides alternate ways of playing certain passages that make them easier to play. The F attachment adds additional tubing to the horn. This extra tubing is accessed by the use of a rotor valve. There are two options for this added tubing – standard wrap and open wrap. Standard wrap horns are more compact and have more resistance. Open wrap horns have less resistance, more openness to them. This is mainly a matter of personal preference. The bore of the trombone refers to the inner diameter of the inner slide. Horns with a smaller bore provide more resistance and a brighter, more focused sound. Larger bore horns offer less resistance and a darker, warmer, bigger sound. If you are buying a trombone for a beginner look for a horn with a smaller bore. Those are usually easier for beginners to make a sound with. Also, beginners usually start with a straight tenor trombone. But if you find a great deal on a horn with an F attachment, don’t pass it up. Until the student learns how to use the trigger for the F attachment the horn plays just like a straight trombone. The only issue might be the weight of the trombone. First of all, when buying a trombone it is critical to be sure the slides move easily and freely. Obviously, this should apply to the main slide, but also to the tuning slides. Check for dents. Dents and corrosion on the slide are indicators of problems. If you are looking at a horn with the F attachment, check the rotor trigger. Make sure it moves easily. Check to see if the string needs replacing. Also, look for the water key (spit valve); it should close completely. It needs to completely cover the hole and provide a good seal. Be sure the cork is in good condition. Finally, check the condition of the lacquer. The lacquer is the horn’s protection against corrosion. It should be in good condition, not peeling off. If you have found a horn that you love, but the lacquer is not great, you can take it to a shop and get it relacquered. That will probably cost a couple hundred dollars. Play any horn you are considering purchasing. Try several horns at different music stores to find what you like. Listen carefully to find the sound you like. How does the horn feel when you play it? Is it easy to play? Take your time, do your research, and find a great trombone! Need more help? Read here. Although the terms are frequently used interchangeably, and there are many similarities, the two instruments are different. The two horns play the same range of notes and use the same basic techniques and embouchure. They can also both read treble clef or bass clef notes. Euphoniums are generally larger instruments. They have a larger bell, a larger and wider bore, and more conical tubing. This gives them a larger, darker, and more powerful sound. Baritones are usually slightly smaller and lighter instruments. They have a smaller bore and a smaller bell. The tubing in a baritone is mostly cylindrical and is more compactly coiled than that of a euphonium. Usually they have a brighter and lighter sound. Because of their smaller size and lighter weight, baritones are usually recommended as starter instruments for children. Beginner baritones often have just three valves, the euphonium usually has four. The four valves on a euphonium give the horn a greater range and allows for better tuning throughout the range. A Baritone works and plays like a trumpet, but it is twice the length of a trumpet. It has the same range as a trombone but uses valves instead of a slide. Tuba players often start on baritones. They are very similar instruments, but the tuba is twice the length of a baritone. Good baritone players are in great demand because there aren’t as many of them as, say, clarinet or trumpet players. 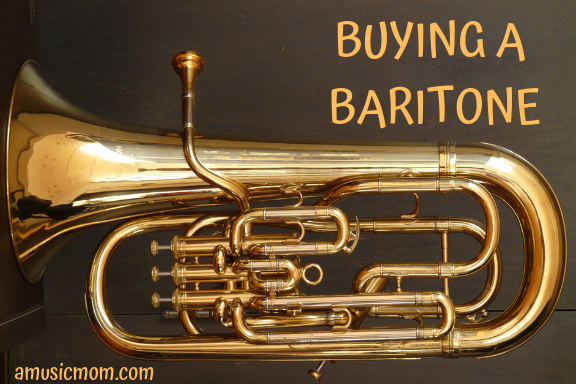 Before shopping for a horn, decide which of the two instruments you really want – baritone or euphonium. Research the price ranges so you know what reasonable pricing is. As with all the other brass instruments, try several horns. Decide on the features you like, decide on the metals and finishes. Evaluate each instrument carefully. Be sure the tuning slides are easy to move, that the valves work easily. Check for large dents, and for corrosion. Choose your horn well. For more information check here and here. Even with tubas there are several decisions to make! Which tuba do you want? The main two options are the B Flat Tuba and the C Tuba. The C Tuba has a clearer, more compact sound. It is preferred in orchestras. But not all tuba parts are written for C Tubas, so you may have to do some transposing. B Flat Tubas have a broader sound with more weight to the sound. Bands, especially marching bands, prefer the B Flat Tuba. For an “all-round” multi-purpose tuba, the B Flat option is the best. 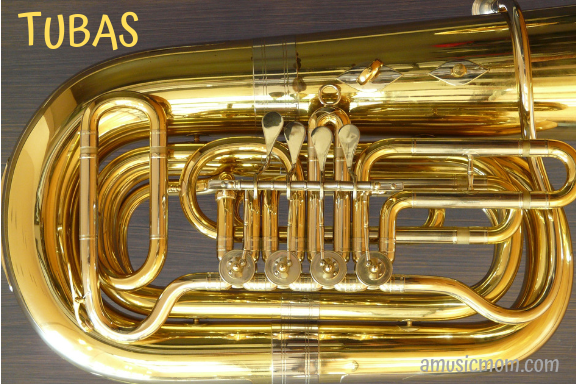 Tubas are made of one of three materials: yellow brass, gold brass, or rose brass. Gold brass gives a darker sound, while rose brass produces a warmer tone. After choosing the metal, you have a couple options for the finish. Most student models have a lacquer finish. This is a durable and affordable option. The lacquer can come in different colors, like gold, silver, or clear, but the color of the lacquer does not affect the sound quality. More advanced tuba models will have a silver-plating finish. This adds to the cost, and it also requires more effort to keep the finish in good condition. This finish does affect the sound – it gives the tuba a warmer sound. Beginner tubas usually come with only three valves. While this is enough to play all the most common notes, it is not sufficient for more advanced players. Anyone beyond the beginner level should look for a tuba with four valves. The extra valve will allow the player all the lower range notes with better intonation. Some tubas have five valves, but that is mainly for professional players. Be sure to check all the tuning slides. They should not be stuck or difficult to move. All the valves need to work easily. You do not want to see any dents in the tubing between the mouthpiece and the first valve. Check every soldered joint. None of them should be loose. Also, you should not find any leaks or holes in any of the tubing! Study the available options. Decide on the best tuba for you. Research the going price range for the tuba that interests you, both on the new and used markets. Try playing different tubas. Ask your teacher or band director for recommendations. For more information read here and here. 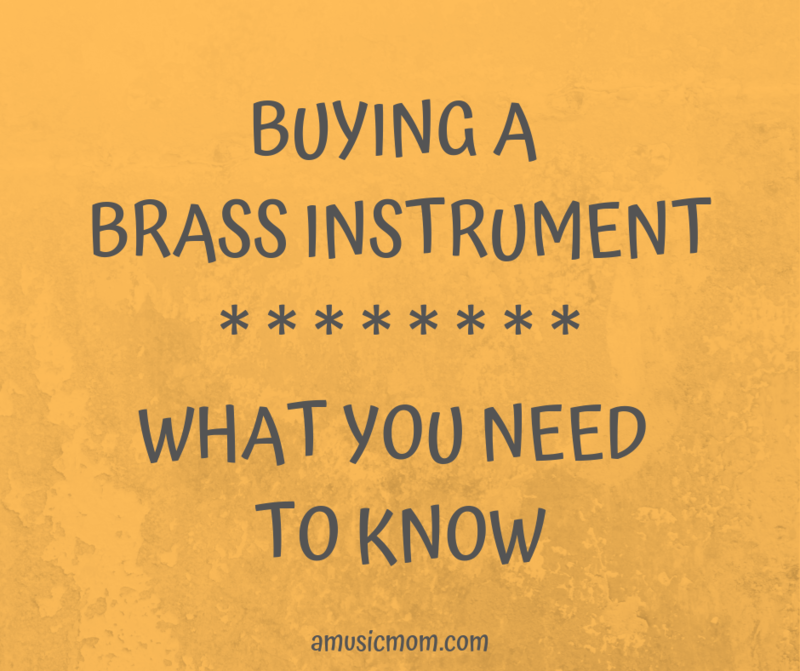 I hope this will help you shop for that brass instrument your student is looking and hoping for! Do the research, establish a reasonable price range, and try several horns. Enjoy the process!